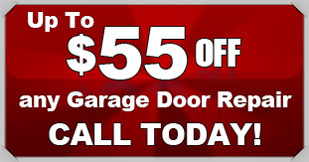 If you need garage door repair in Hollywood Park, look to the professionals at Action Garage Door. Over the past 30 years, our family-owned company has earned the trust and business of thousands of customers across the San Antonio area. We look forward to earning yours, too. All of our technicians are passionate about delivering the very best in customer care. Whether you need minor maintenance or major repairs for your Hollywood Park garage door, we have the experience and equipment to get the job done right the first time. When you choose Action Garage Door, you can count on our experts to perform high-quality work that complies with local codes and to use first-rate products designed to stand up against the elements. In addition to offering top-notch repair services, the experts at Action Garage Door can help you select and install a new garage door for your Hollywood Park home or business. We carry doors from the best manufacturers, in a wide range of models and colors. When you work with Action Garage Door, we’ll make sure your new door will not only provide years of worry-free performance but will also serve as a stylish complement to your residential or commercial property. If you need garage door repair in Hollywood Park, the experts with Action Garage Door are ready to help. More than 400,000 people in the San Antonio area and across the state have put our services to the test over the past 30 years, and we hope you do the same. Give us a call or contact us online to schedule an appointment.